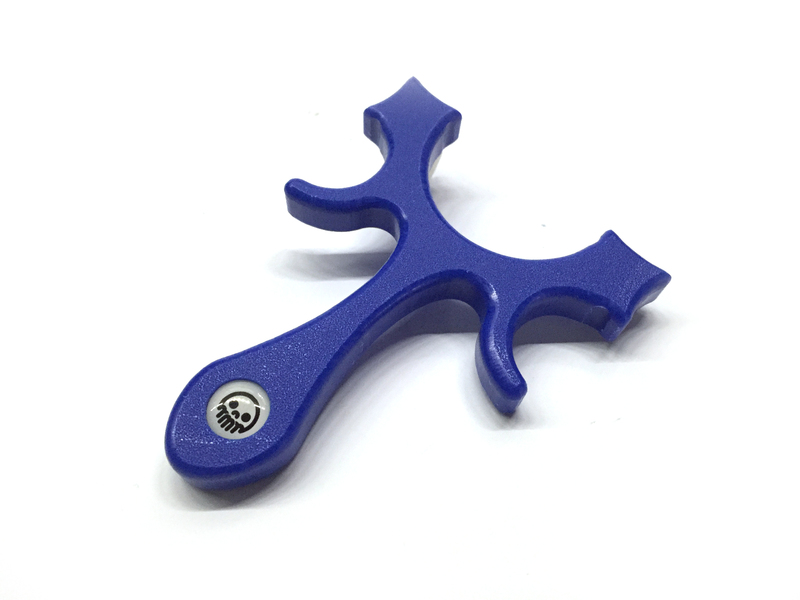 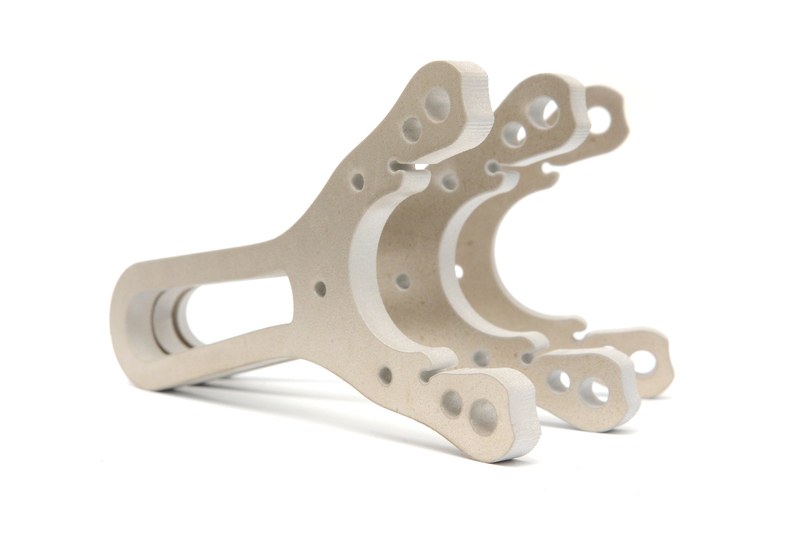 The Tyton RT is a symmetrical slingshot frame designed to shoot sideways in a pinch grip. 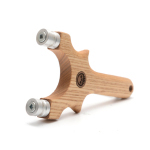 The RT designates the Rotating Tip, which extends band life by eliminating band chaffing on the frame. 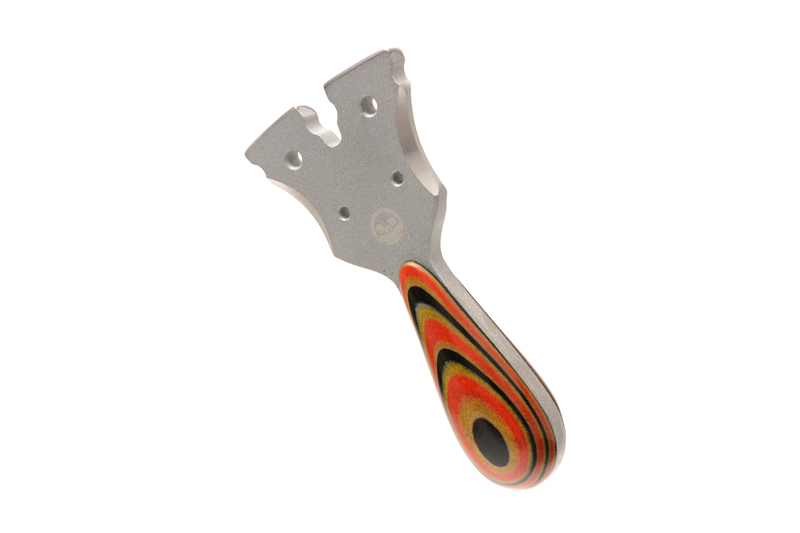 Custom machined 6061 aluminum rotating bushings rotate as the bands run through the fork towards the target. 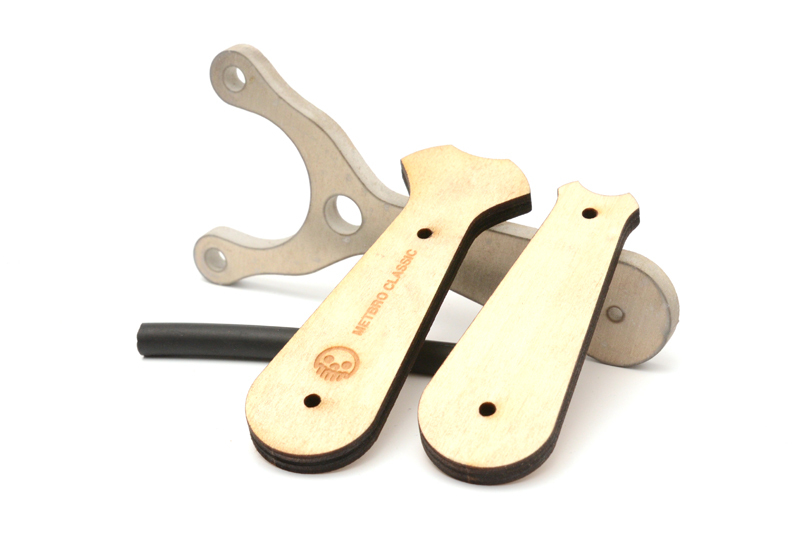 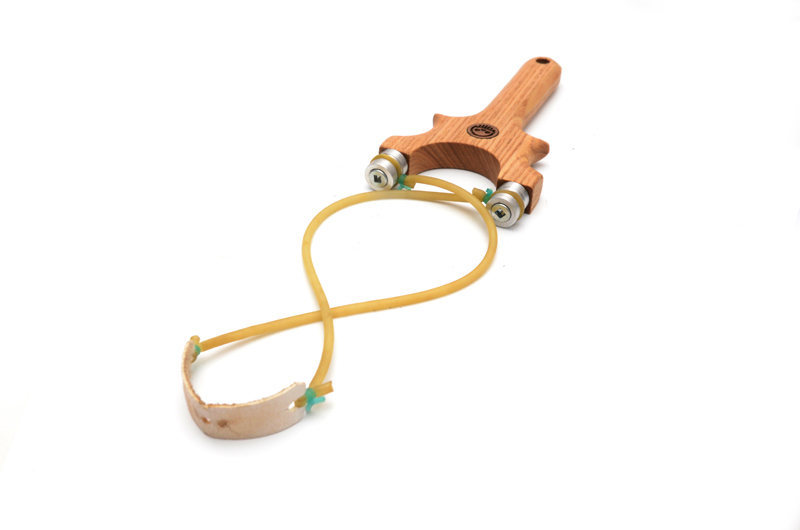 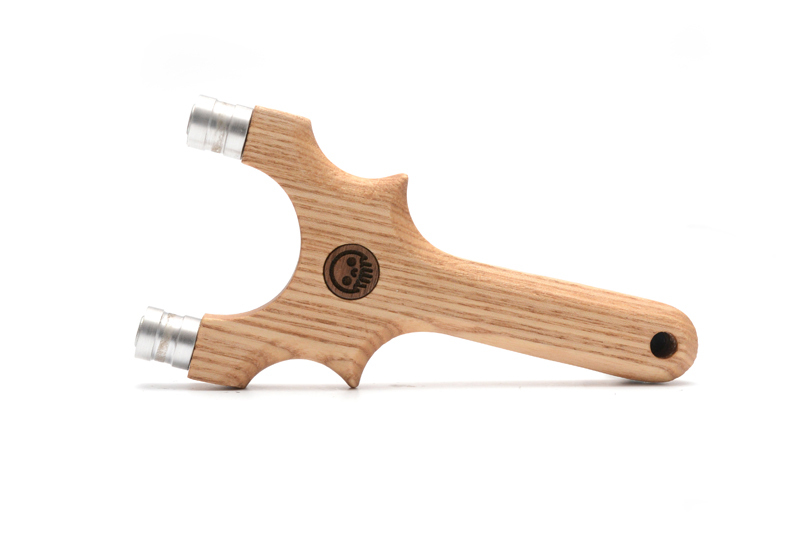 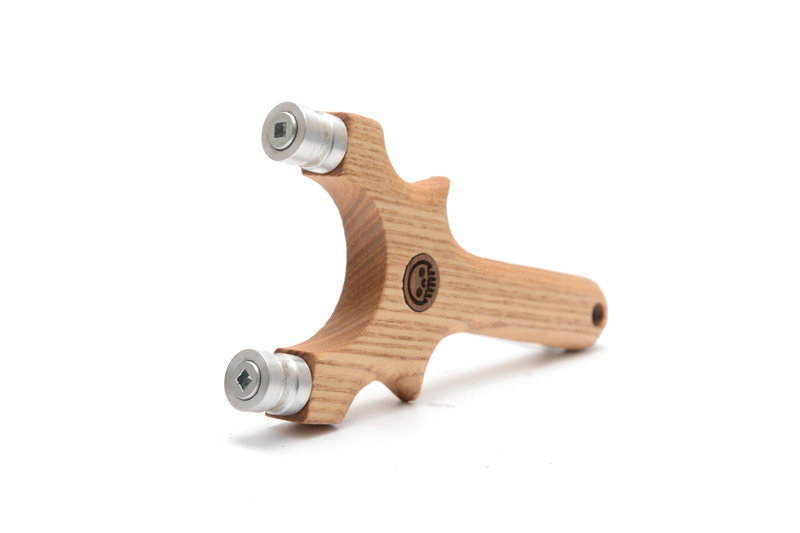 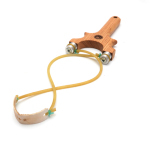 The Micra Tyton RT is a smaller version of the Tyton RT with 1/2″ rotating tips and is carved from solid elm and finished with beeswax/linseed oil.